Why wait?! Here is the home you've been searching for! 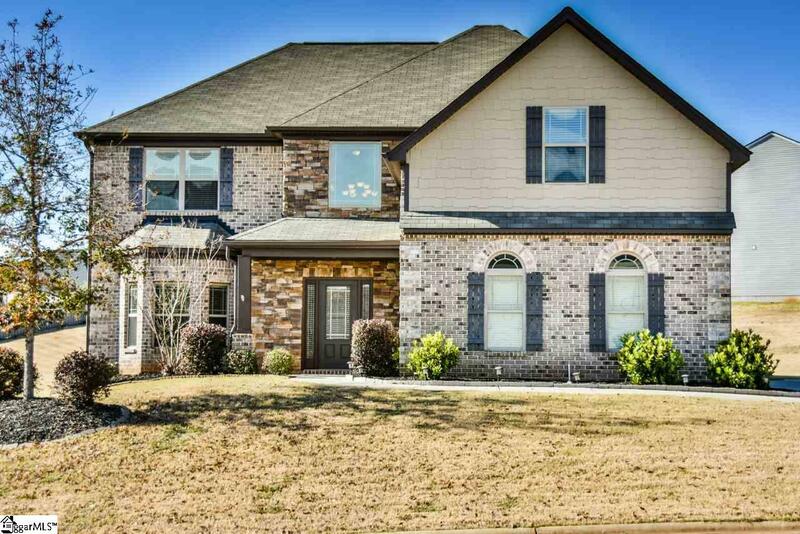 This 4BR/2.5BA home is LOVELY & meticulously maintained! 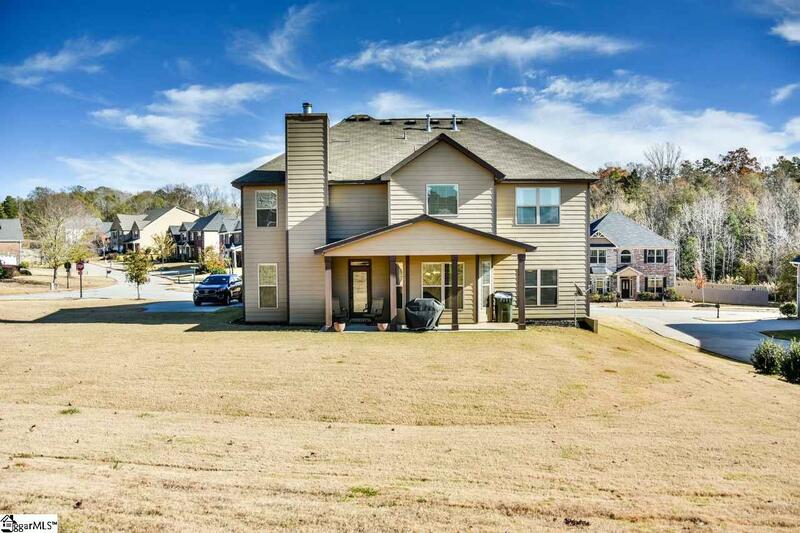 With almost 3200sf on a .32 acre lot, this home is just five years old and offers a very versatile floorplan with both formals, spacious open rooms, amazing ceilings, and multiple upgrades! (We've left a few nice surprises for you to see in person!) Conveniently located in the highly desirable gated community of River Shoals in Simpsonville, SC, it is super easy to anywhere.... shopping on Fairview Road, I385, Greenville, ICAR, Donaldson Center, schools.... From the craftsman stone and brick front accent, enter into a grand two-story foyer and instantly notice the upscale trim work, archways, lovely paint, and hardwood floors! 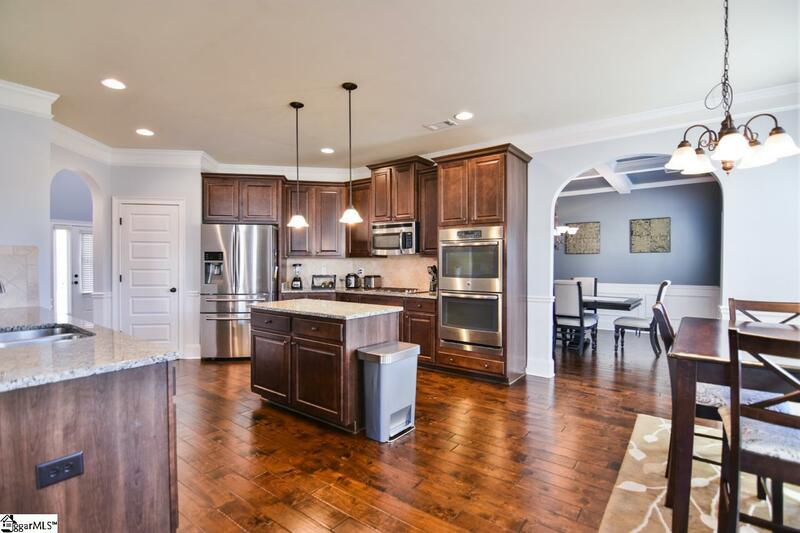 This gourmet kitchen will provide the happy central gathering place with its center island, double ovens, gas stove top, new dishwasher, beautiful cabinetry, granite, and tile backsplash plus pantry! The bayed breakfast area gives a great view of the spacious backyard (perfect for an inground pool!). The formal rooms flow together to provide additional space for entertaining... notice the gorgeous coffered ceiling in this spacious dining room! From the kitchen, you will never be excluded from activity in the large open great room with gas starter, masonry fireplace! Upstairs you will appreciate the nicely proportioned bedrooms and closets! The master suite boasts a vaulted ceiling, super sized walk-in closet, and private bath with dual sinks, garden tub, tile surround shower, linen closet and private commode. The other three spacious bedrooms feature specialty ceilings and fantastic closets. 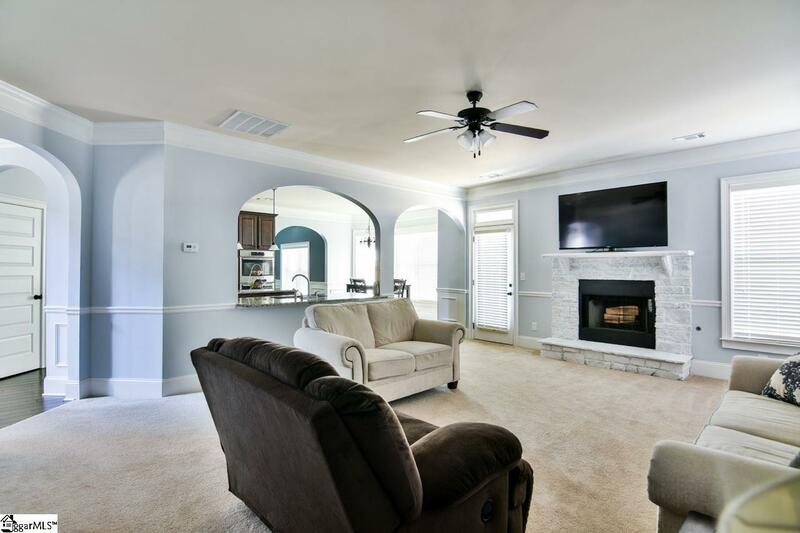 Completing this upper level is an oversized hall bath and walk-in laundry room. Additional features and upgrades include a side load garage, covered patio, ceiling fans, termite bond, and irrigation! PLUS, all of this situated within walking distance of the community clubhouse, pool with lazy river, and playground! Come home to 2 Tippecanoe Street today! Listing provided courtesy of Susan Mcmillen of Allen Tate Company - Greenvill.